Whichever stage of the buying or selling process you are in find some great resources here to help you on your journey. There are various types of valuations and reports available on QV.co.nz and each can be beneficial at different times when buying, selling, renovating or wanting a better understanding of the local market. The NZ Property Market for a developer's perspective. Property speculators have been the target of much legislative change, with a number of measures already introduced by the coalition government to influence property investment behaviour, recognising our reducing home ownership rates and subsequently the increasing numbers of kiwis living in rental properties. 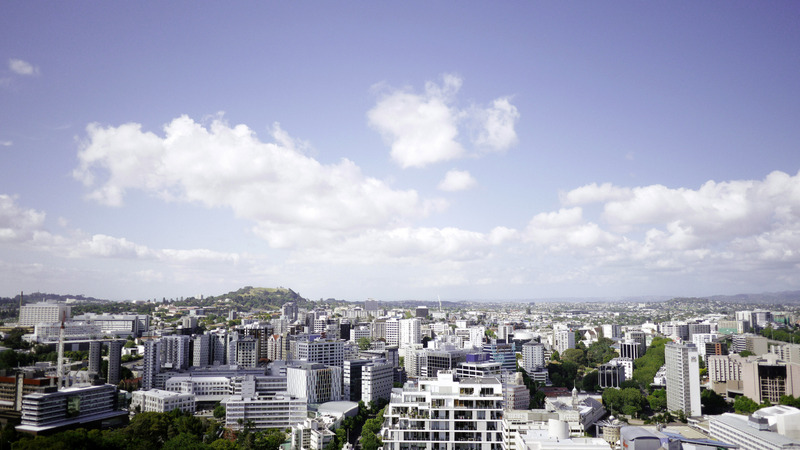 Currently, a Tax Working Group is looking at whether New Zealand needs a more comprehensive capital gains tax amongst other changes to our tax system. One of the findings from their interim report was that 82% of assets potentially impacted by a capital gains tax are held by the top 20% in terms of wealth measures. These are not NZ’s typical mum and dad investors. This is the latest in a line of measures, including the Healthy Home Guarantee Act (ensuring all rental properties have to meet a minimum level of heating/insulation requirements), the Brightline Test (effectively a capital gains measure: requiring investors to pay tax on any gains if a property is purchased and sold within 5 years), and ring-fencing of losses for negative gearing purposes. But despite all these measures, investors still appear to be acting relatively consistently. Looking to the supply side of the equation, August 2018 was a particularly strong month for building consents, continuing the recent upwards trend. In terms of actual ‘on the ground’ impact, we measure the net change in stock on the ground due vs. what was actually consented, taking into account those properties which are demolished in order to build new properties 12 months ago, just over 10.5K building consents were issued, but the net increase to stock was only 6,800 properties. Statistics NZ have previously reported that 95-97% of consents go through to completion so the difference mostly accounts for regeneration, as well as a slightly longer time to completion. To truly make an impact on Auckland’s housing shortfall, Auckland has a target of 13K new builds per year. We’re currently only at 50% of that, despite what the consents say. Challenges to achieving build at pace come in the form of available construction labour, Resource Management Act consent processing and large building companies unfortunately going under. On the plus side, we’re also seeing a change in building type in consents: previously, up to 80% of consents were for standalone houses but that’s reduced to 50%, with apartments and townhouses on the increase: a promising trend for Auckland’s intensification. KiwiBuild is the government’s initiative to address the affordability challenge, and the first KiwiBuild home-owners will move in over the next few weeks. The shorter term impact of KiwiBuild won’t necessarily see volume uplift, but what it will do is improve affordability, with prices capped and generally a smaller deposit accepted. CoreLogic has a sales prediction model, which takes into account macroeconomic indicators such as GDP, migration, interest rate movements etc. and that model indicates that the sales volumes could drop away a little further. However, modelling will always have limitations and in real life, we’d expect market reaction to counter a further drop, such as LVR limits being loosened. The more likely scenario is that volumes will remain flat for the short term. Currently the model predicts just over 80,000 residential sales each year for 2018 and 2019, which is relatively low - below NZ’s boom in the mid-2000’s, and not far above GFC levels of 65-70k per annum). My personal call is that sales appear have hit a bit of a floor, with value growth weakening across most of NZ. A low listings situation exists in many markets, and despite encouraging building consent numbers, it’s still not enough. There are signs of loosening credit, which could impact short term values, but otherwise the market outlook is for a relatively constrained NZ property market.